The Los Angeles Bureau of Engineering’s competition for a $350 million expansion and renovation of the LA Convention Center has been narrowed down to three final teams. And they are: AC Martin/LMN, Gensler/Lehrer Architects, and HMC/Populous. According to the project’s Task Order Solicitation (PDF), the teams will each receive $200,000 to “develop and present conceptual designs,” including models, renderings, plans, cost estimates, phasing plans, etc. Designs are due on December 8. 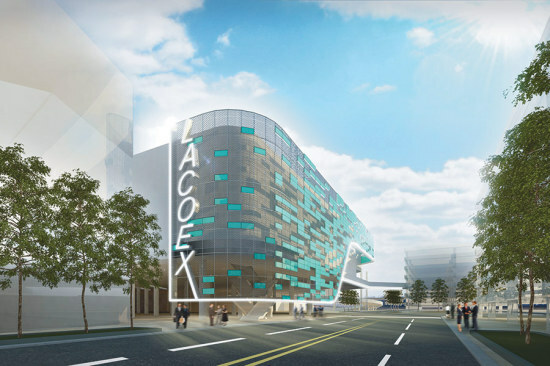 According to Bud Ovrom, the Convention Center’s Executive Director, the plans would center on rehabbing the center’s oldest building, the West Hall, which has become particularly out of date, “filling the void” between the West and South halls, adding plans for at least one” 1,000-room hotel, and upping the facility’s amount of usable space to over one million square feet. Ovrom said his team recently looked at 11 competitive convention centers, and LA’s ranked 9th in square footage. “We’re significantly smaller to start and the competition is upping its game,” he said. 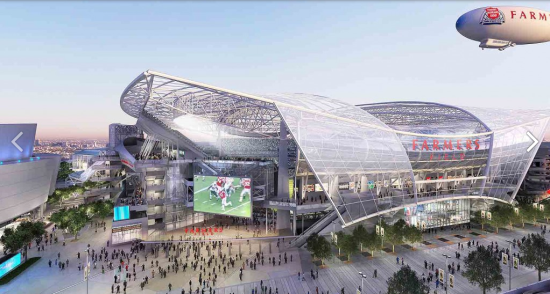 The city is still under contract with AEG to build a football stadium on part of the site, but that contract expires on October 18, and it doesn’t look like the city will get an NFL team before then. 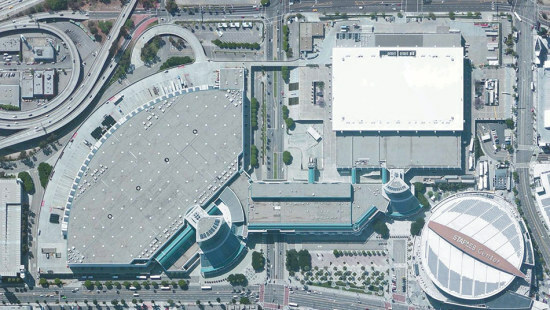 Ovrom said the stadium is still the city’s first choice, but argues that a renovation and expansion “makes more economic sense” for the convention center. One of the competing design team members, Populous, proposed a plan for the convention center with developer AEG back in 2012 linked with the football stadium. Another firm on the list, Gensler, designed that stadium, Farmers Field, with a dramatic winged structure. Both may soon join the ranks of the city’s Never Built.